A wine tasting party is a fun way to enjoy and discover different types of wines within a relaxed social setting. These can occur at wineries (NJ wineries, woowoo! ), which usually have established certain easy guidelines for visitors to make their tasting as easy and educational as possible, or they can always happen as DIY tastings at home, or more officially at a wine club (for those who want to take it up a notch...). Winery wine tasting events provide visitors with the chance to learn about wines produced at the winery from the winery's staff or winemaker. It's also the perfect opportunity to sample a variety of wines to decide which one suits your tastes, or which one would be the best fit for an upcoming special occassion or gift. Winery staff are well versed with the wines they serve. They can help you understand the differences in the wines you'll taste, and often make great suggestions after getting to know your tastes and preferences. At Hopewell Valley Vineyards, we're open for drop-in wine tastings from 12-5PM every day of the week. Even though we usually have an assortment of other winery events happening after 5PM on weekends, we stop wine tastings after five. Reason beinging that to truly enjoy a wine tasting, a relaxed and informative conversation must take place, beyond merely tasting the wines. 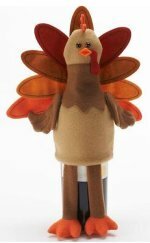 It's the unique chance to ask questions about how the wine is made, what foods pair well with wine, etc, etc. These may be reds, whites or rosés. The tasting may be part of another larger event. Some, such as Four Sisters Winery in New Jersey and others, pair wine tastings with dinner events. Some wine tasting parties are part of a festival. In this instance, you are part of a group of people who have a common interest – wine. My personal favorite however, is to host a wine tasting party at home. Doing so will allow friends of all types to discover wine. A QUICK BUT IMPORTANT DETOUR: DON'T FORGET ABOUT WINE TASTINGS AT RESTAURANTS! 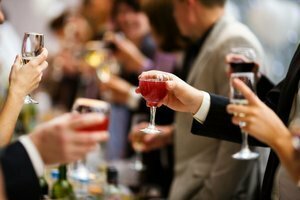 Before we get into wine tasting parties at home, also consider checking out these restaurant tips for wine lovers and on general restaurant etiquette for when you're drinking wine and wine tasting etiquette in restaurants when the 'wine presentation ritual' occurs. Both these articles will help you feel more confident and comfortable enjoying and discovering wine while dining out. A party of this nature needs to be wine AND people friendly. It is a way of learning about wine tasting, not simply showing off wine knowledge. It is a means for those who enjoy wine to explore this world further. Yet, it is vital the party retain a party atmosphere. It needs to be fun. In order to accomplish this, it is essential to plan around guests' comfort levels regarding wine, and intentionally adding fun elements. This means making a major decision from the start. This concerns the direction of the event. Is the focus of this party mainly for wine tasting? Alternatively, is the wine tasting only a component of this party? This will include looking at the number of people invited. Supplying wine for a large party requires different preparation tactics than it does for a smaller party. The intimacy of a small party allows for a more relaxed and personal wine tasting party. It allows the host to provide a setting similar to those at wine tasting events or promoted in wineries. A wine tasting party involves more than wine. Although wine may be the centerpiece, food plays a significant role. While this is true of most parties, with wine tasting, you need food that is in perfect harmony with the wine. In order to accomplish this, it is necessary to know what wine is being featured. Even if the plan is for a blind tasting, the food needs to complement the wine and the wine the food. Consider combining a Barbera with young acidic goat cheese or a Sangiovese with hard cheeses. Cheddar can go with Zinfandel and Monterey Jack with a New World Chardonnay. 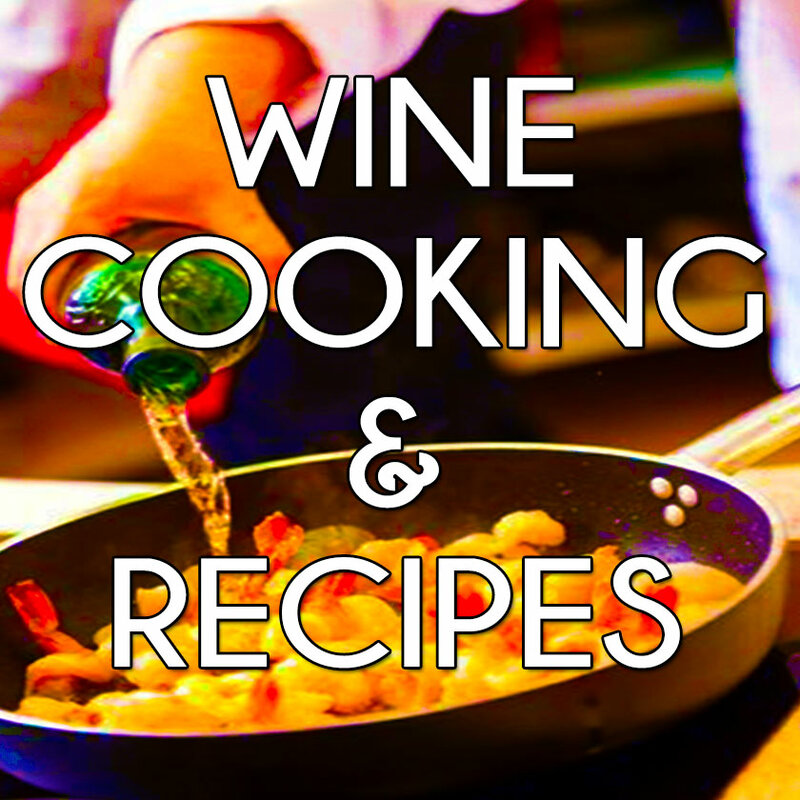 For more on WINE & FOOD PAIRINGS, CLICK HERE. For an EASY WINE PAIRING CHART, CLICK HERE. Some people love to have themed parties while others abhor them. Of course, a wine tasting party already HAS a theme...the WINE! Affordable wine versus expensive wine in a taste test faceoff! In all instances, the host can supply all. Alternatively, the guests can supply wine and food. For more info on HOSTING A WINE TASTING PARTY, CLICK HERE. Or fast forward to: 18 IDEAS FOR A MEMORABLE WINE PARTY! In case of any wine tasting party, you need to remember to supply the basics. This includes beside the wines and complementary food, the bare necessities. These include wine glasses, tasting notes, a decanter, and a spittoon. Once the menu is set, the guests invited and the theme obvious, the best is yet to come – the enjoyable discovery of wine.